We sail with veteran Captain John Foss on the historic schooner American Eagle. 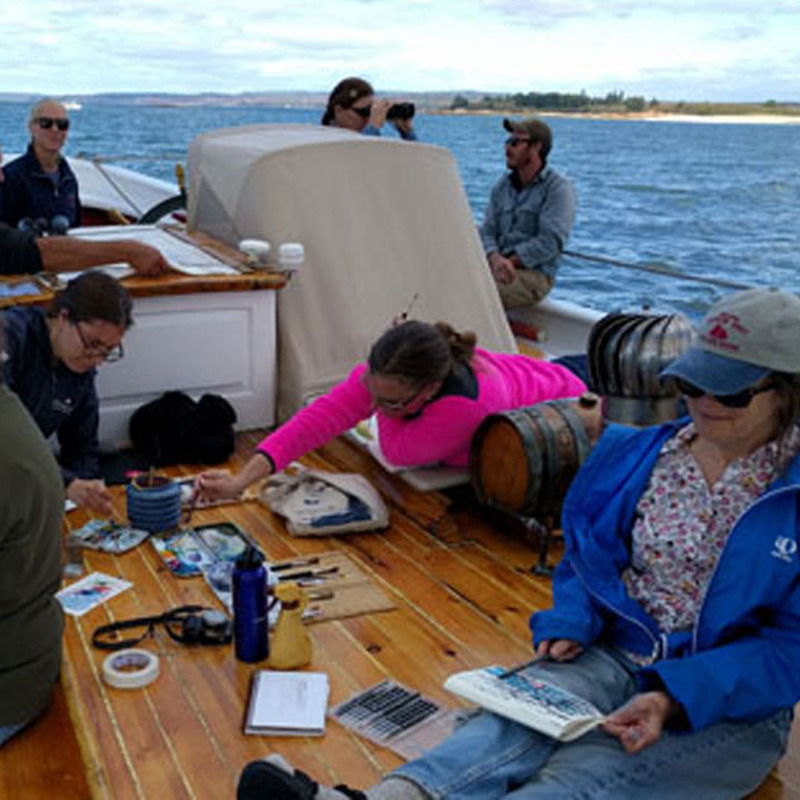 We’ll step back in time and enjoy a leisurely cruise along the coast of Maine, sailing where the wind blows and recording our impressions in watercolor journals. Your materials are all provided, including paints, papers, and the use of brushes. 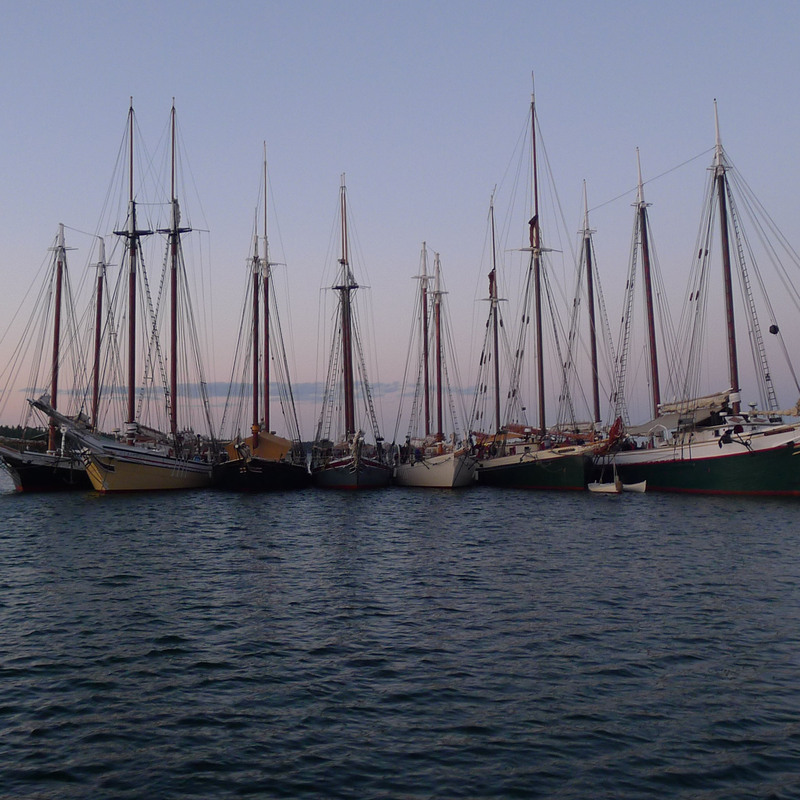 The trip lasts four days and includes an evening “gam,” a raft-up of the great schooner fleet of the mid-coast region. That’s an opportunity to sketch the boats as they come in, or enjoy the music of paddling minstrels as they visit other boats in the fleet. 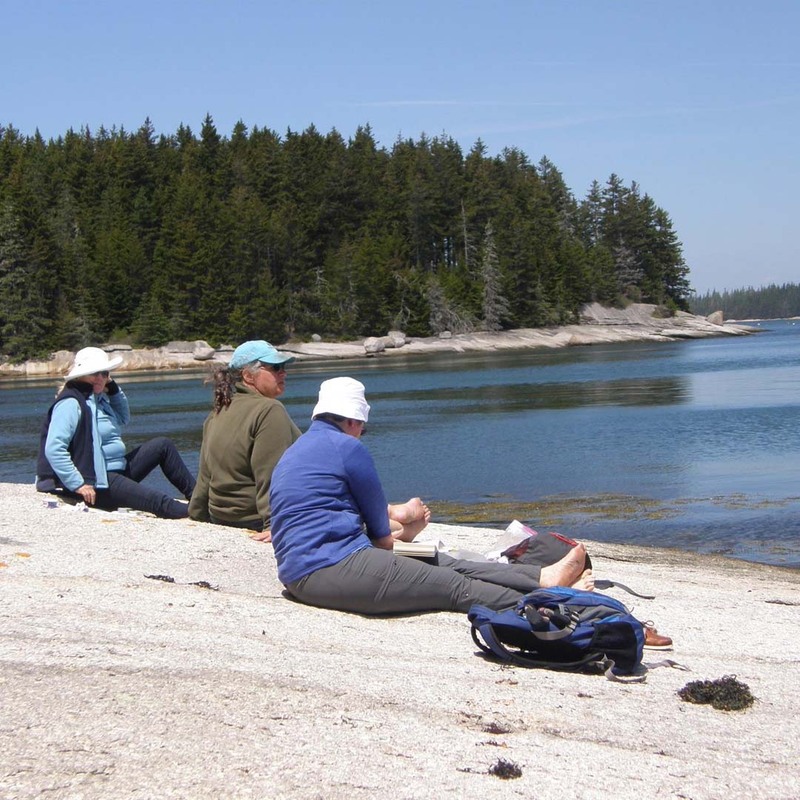 Lighthouses, wildlife, and unspoiled scenery are part of every trip. The boat is a true relic of the Age of Sail, but it’s been updated so you have a comfortable berth, fresh linens, modern heads and a fresh-water shower. Every meal is lovingly prepared by the cook and his mess mate. 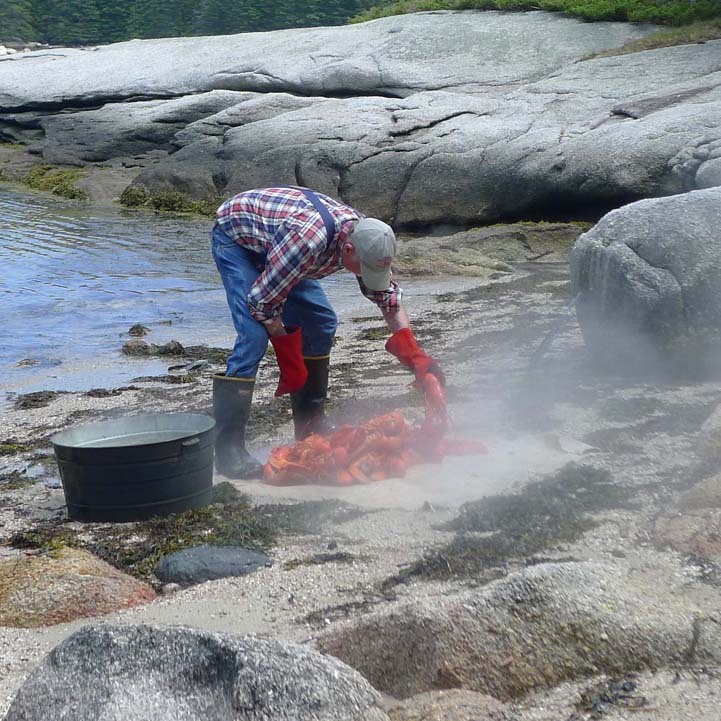 That includes a lobster bake, which might be at sea or on shore, depending on where we end up. Is painting on a moving boat even possible? Yes, and it’s fascinating. The water, sky and shoreline are constantly changing. 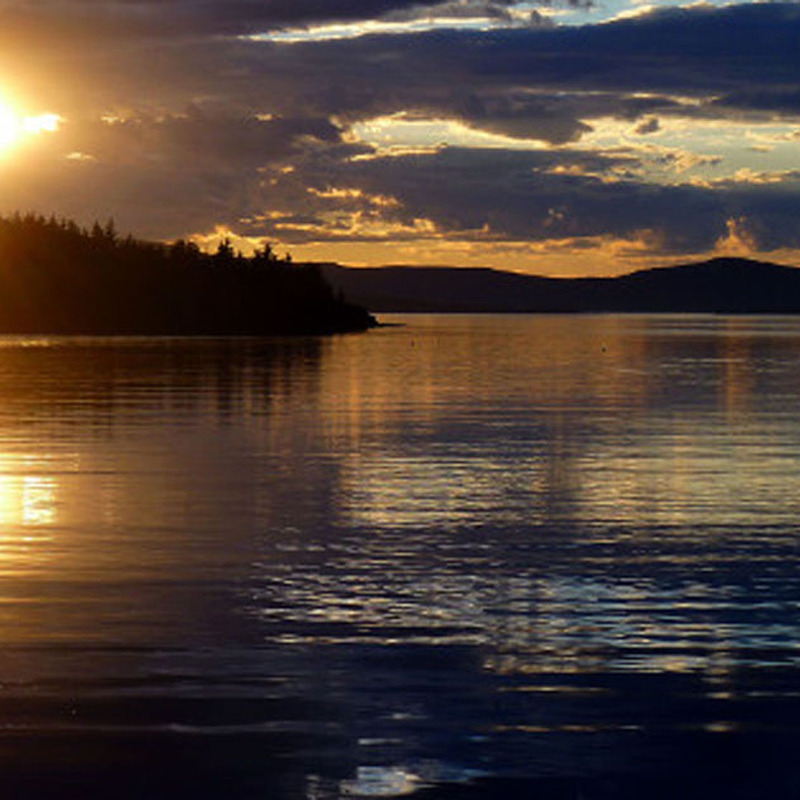 In addition, we’ve scheduled this workshop for the longest days of the year so that we’ll have plenty of time to paint sunrises and sunsets while at anchor. 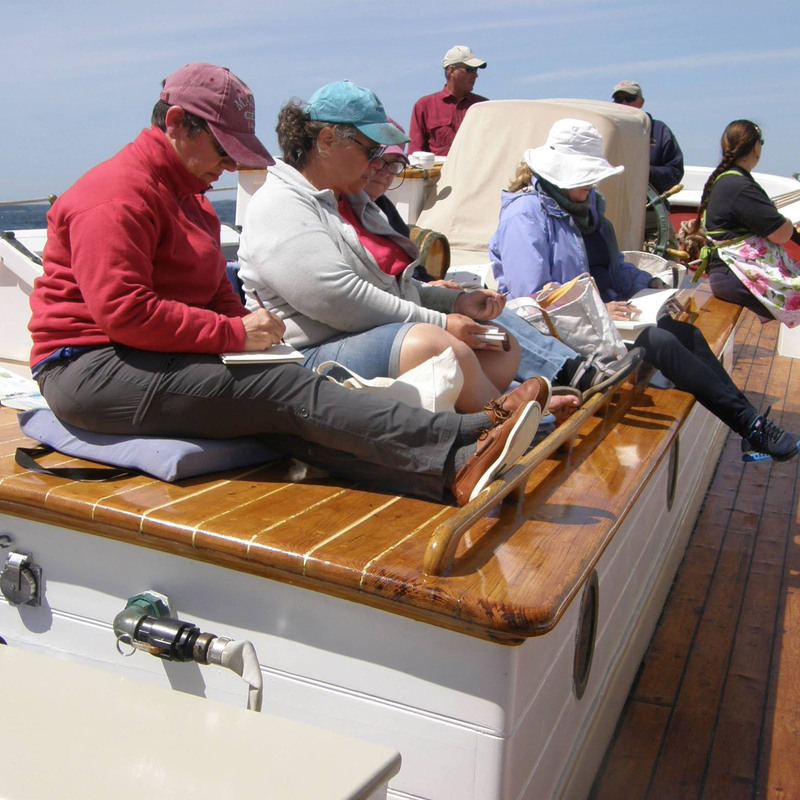 This workshop is aimed at watercolor or gouache painters, particularly those with an interest in the sea or sailing. No experience? You’re very welcome; we’ve got everything you need to get started. Carol Douglas has almost 20 years’ experience teaching students of all levels in watercolor, oils, acrylics and pastels. 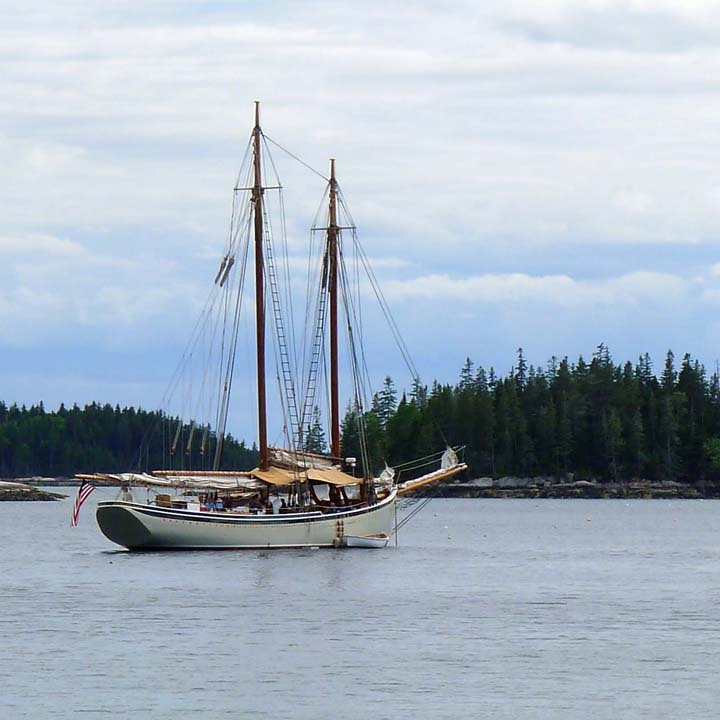 American Eagle sails out of Rockland, ME, which is home to the Farnsworth Art Museum and the Center for Maine Contemporary Art, along with many great commercial galleries and restaurants. When you call to make your reservation, ask about a hotel package. 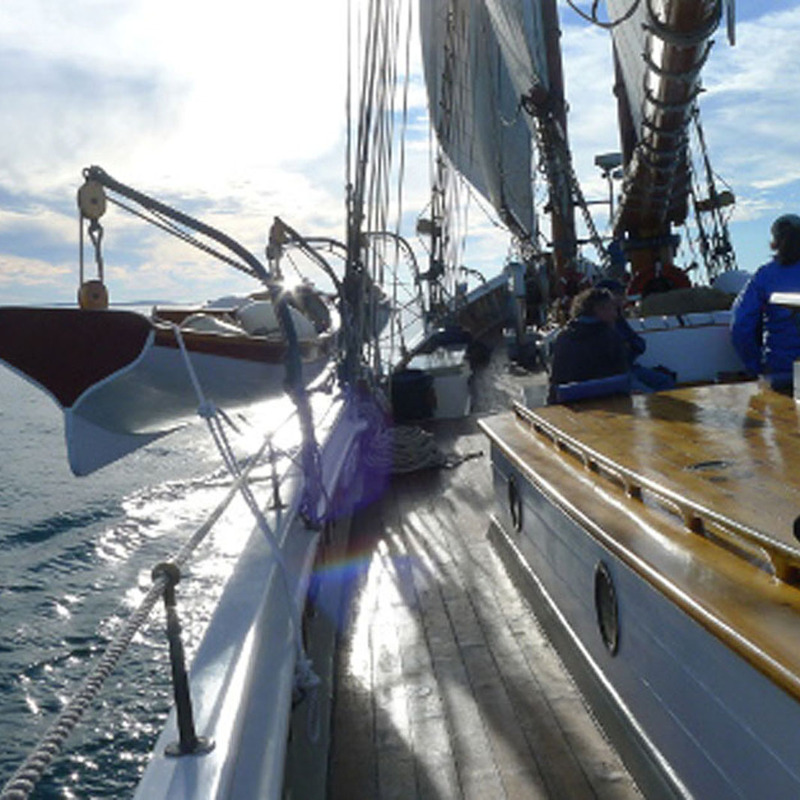 The schooner trip is $745, and your tuition for the workshop is $275, for a total of $1020, all inclusive. Email me here for more information and I’ll send you a free screensaver of my painting of the American Eagle, called “Breaking Storm”. Or email American Eagle’s offices here or call them at 1-800-648-4544 to register. If you sign their guest book, they’ll send you a copy of a DVD. 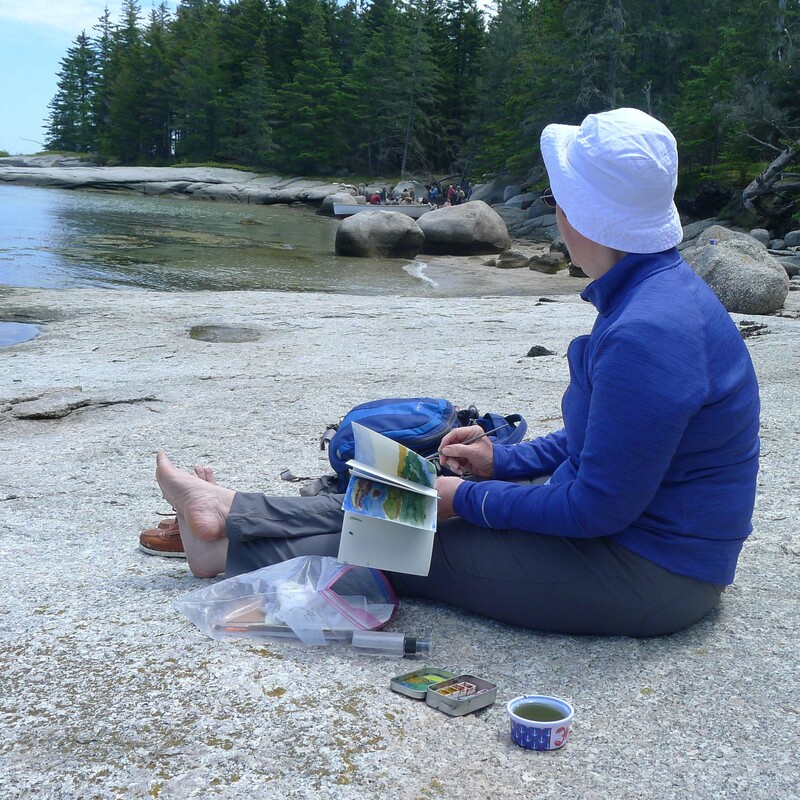 There’s a $25 discount to members of New York Plein Air Painters, Plein Air Painters of Maine or returning students.